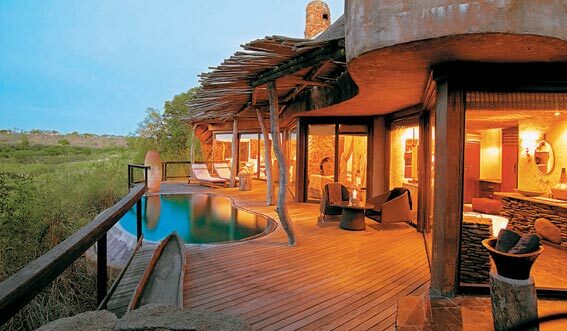 When we book safaris in southern Africa, we often take advantage of the smaller, exclusive camps and lodges located on private reserves and concessions. There are private wildlife reserves throughout southern Africa, many of the best ones are adjacent to established national parks. Private reserves have made it possible to vastly extend protected wildlife areas. Private conservancies adjacent to Kenya’s Masai Mara National Reserve have doubled the area wildlife can now roam around in. The Greater Kruger area in South Africa has also grown by over a quarter of its original size with the addition of private reserves like Sabi Sabi and Timbavati along the national park borders. The borders between national parks and private reserves are unfenced and the wildlife takes full advantage of the larger eco-system available. Highly Qualified Guides — Along with the specialized safari vehicles, the guides and drivers hired in the private concessions are highly qualified, well trained naturalists. With their local knowledge of the terrain, coupled with their in depth knowledge of wildlife behavior, your chances of seeing the “Big Five” is significantly increased. The guides on private concessions also share sightings with their colleagues by radio which heightens your chances of seeing the rarer species such as rhino or leopard. 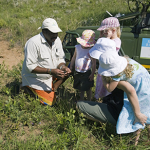 The guides are expert trackers and can read footprints in the sand and judge the freshness of elephant dung, all of which helps the success of your wildlife spotting while on safari. This in depth knowledge also keeps you safe, guides can read a mock charge versus a real charge of a bull elephant and will know when it’s time to back off. A good guide can also make your safari even more interesting by relaying fun facts about the pronking of a springbok, or the mating ritual of a weaver bird. 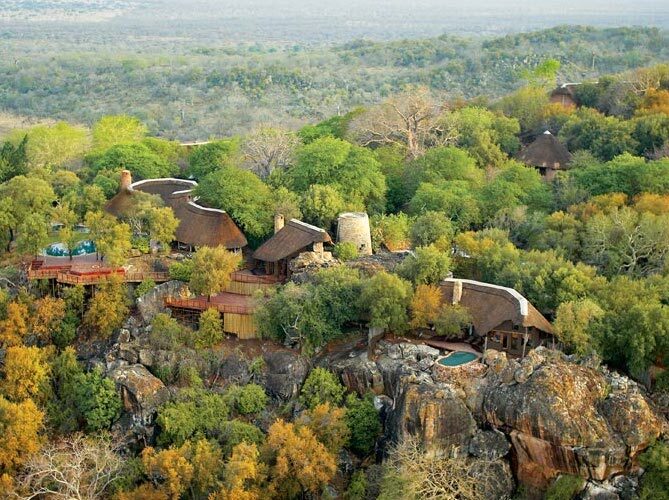 Exclusive Camps/Lodges — The lodges and camps in private concessions tend to be more luxurious and smaller than the accommodation on offer in national parks. Meals are of a very high standard and often coupled with excellent wine. Dinner is usually a very social affair, with the dozen or so clients staying at the camp, eating together and sharing their safari sightings of the day. 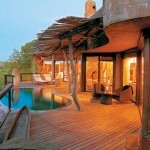 There’s also the option of a private bush dinner or breakfast for two, away from everyone else. Off-Roading — In national parks there are strict rules governing your game drives, in order to stop self-driving individuals from harming themselves and/or the environment and wildlife. In private reserves, because safaris are led by expert guides in well maintained vehicles, there is the option of going “off-road”. This allows those on safari to get closer to wildlife, and to get a chance to track the more elusive animals that like to hide in the thicker bush away from the main roads. Bush Walks — National Parks cannot afford to have tourists jump out of their cars and possibly endanger themselves by inadvertently wandering close to a lion hiding in the tall grass while trying to take a close-up shot of a zebra. So there are strictly enforced rules in place which do not allow anyone to get out of the vehicle while on a game drive. On a private reserve, you have the option of taking bushwalks with a qualified guide, which is a wonderful way to stretch your legs and work off some of the lovely food you will get to enjoy. A bushwalk allows you to concentrate on some of the smaller animals and insects that are equally as fascinating as the larger mammals. 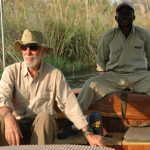 You will often be accompanied by a guide who can tell you about the herbs and grasses used in traditional medicine, adding a very interesting cultural angle to your safari. Being able to get out of your vehicle, also allows for the wonderful tradition of a “sundowner” overlooking the beautiful African bush. Night Drives — National Parks also have strict rules regarding driving at night and very early in the morning. But on a private reserves you can get to enjoy a safari with a spotlight, it’s a thrilling experience and allows you to see the nocturnal animals at play. There is nothing cuter than a bushbaby, and night drives also allow a much better chance of seeing a leopard on the hunt! Best of Both Worlds — As private reserves are often adjacent to the national parks, most safaris will include at least a full day drive in the national park, or more depending on the wildlife sightings. So there is no danger of missing out on the best wildlife viewing if that happens to be in the national park during your stay. Clients staying inside the national park will usually not have access to the private reserves. ← Matt and Lauren M.